Thanks for stopping by for Blue, Masterpiece and Mosaic Monday! I think that I died and went to Blue Heaven! 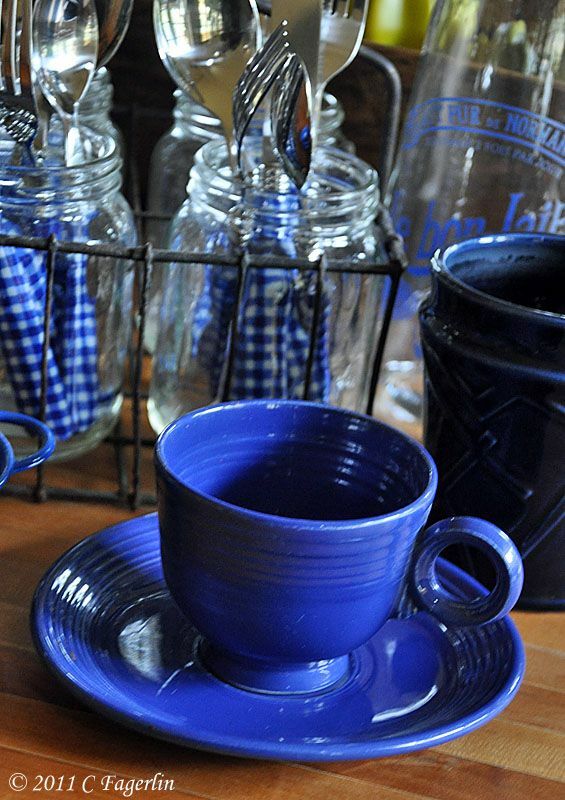 I am a nut about most all shades of blue, but especially the cobalt blue. Thank your for my fix! 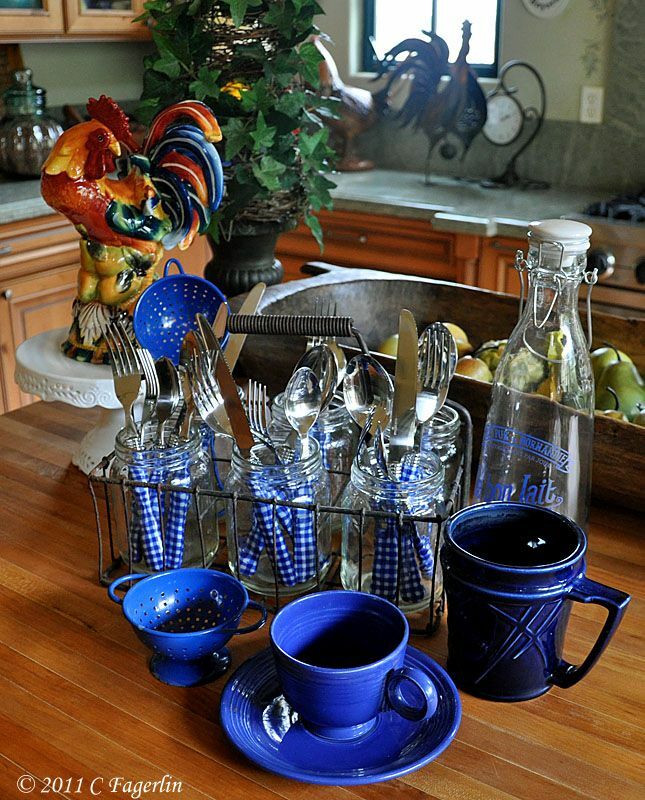 Beautiful blues--I love the rooster sitting on the table. Love the colours, especially love the cutlery! What a refreshing sight, vibrant blue. Love the playful rooster on the background. I love your Blue Monday!!!!! Candy, you are so fortunate to have these prettys to gaze upon! 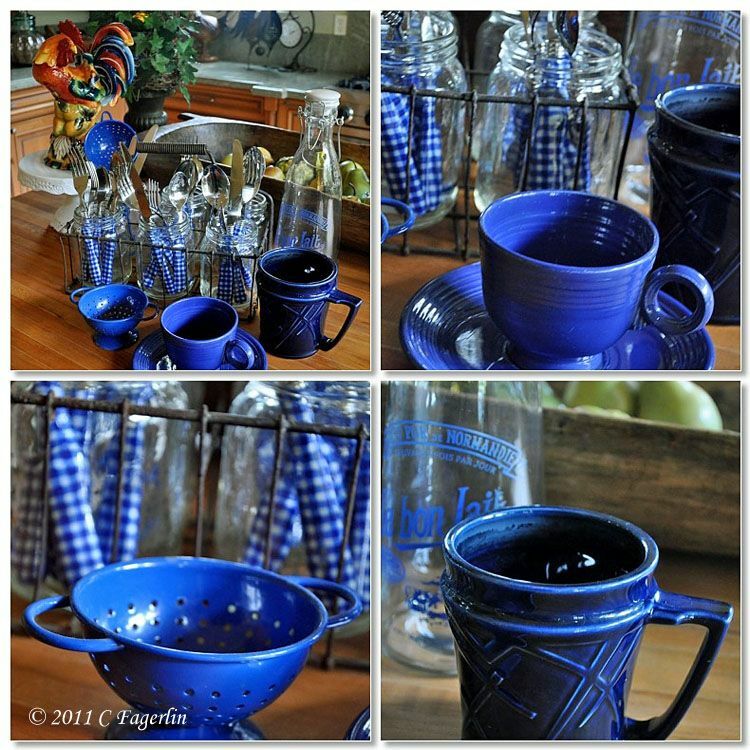 We are back to foggy gray days and this bright blue was a welcome sight in my kitchen this morning! Oh so cute i like it. happy blue Monday. You have one of the prettiest blue showings today. Such a bright shade of blue. WHAT A BEAUTIFUL TABLE SETTING THEY WILL MAKE. Oh these blues are fantastic. 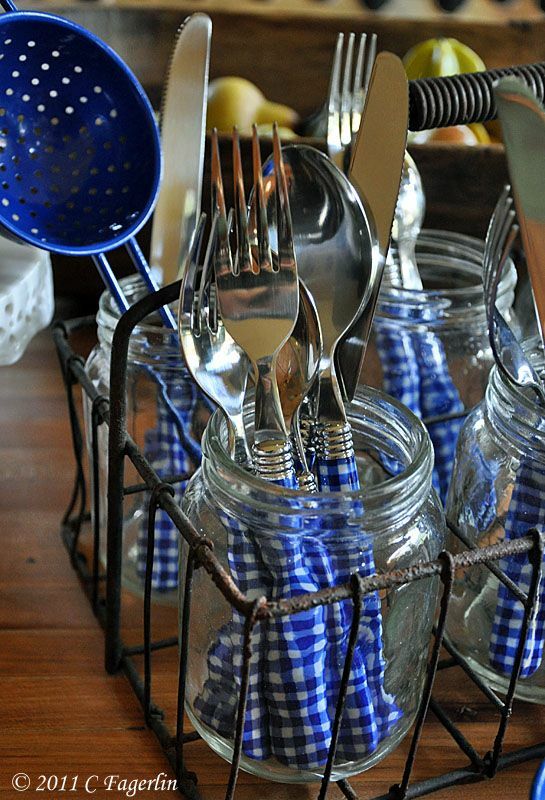 I adore the silverware--so pretty in the jars. I am always in love with your dishes no matter what color it is. Happy Monday! 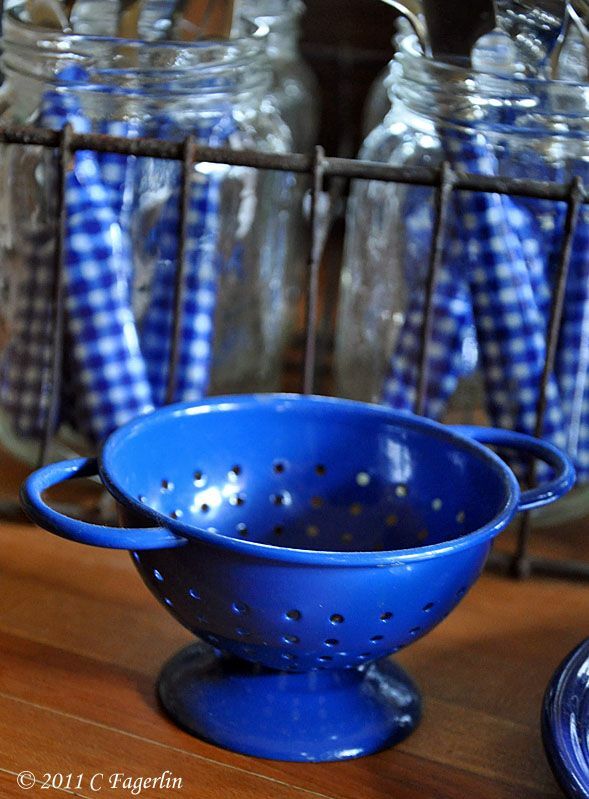 You have Blue Monday totally covered! 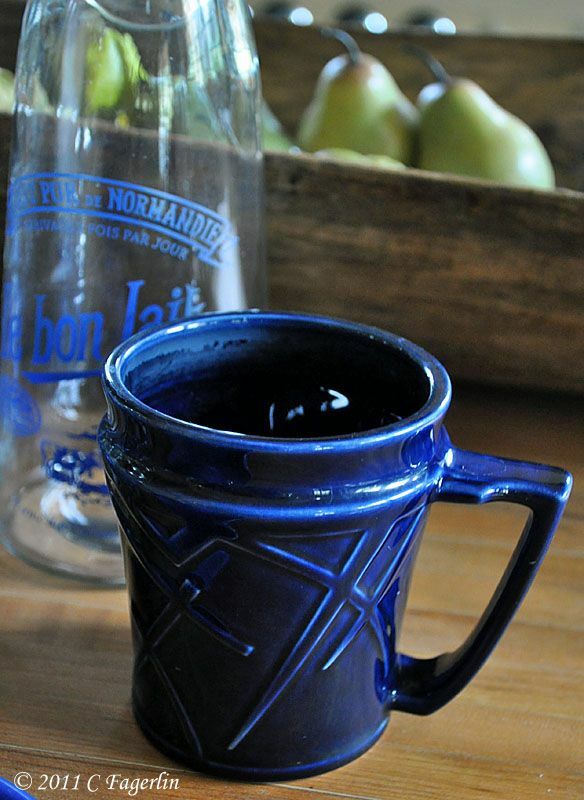 May I have a refill on coffee and stay a while longer. Thanks ladies, I do hope you will stop back again soon ..... it's pretty much all about GREEN as we move forward to St Patrick's Day celebrations.